To discover, preserve, and share information about the Jewish experience in the Chicago area. The Chicago Jewish Historical Society was founded in 1977, and is in part an outgrowth of local Jewish participation in the American Bicentennial Celebration of 1976. Muriel Robin was the founding president. 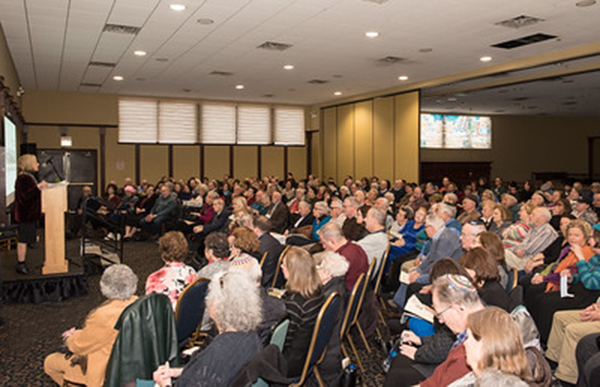 The Society has as its purpose the discovery, preservation and dissemination of information concerning the Jewish experience in the Chicago area. The Society seeks out, collects, and preserves written, spoken, and photographic records, in cooperation with the Spertus Institute for Jewish Learning and Leadership. 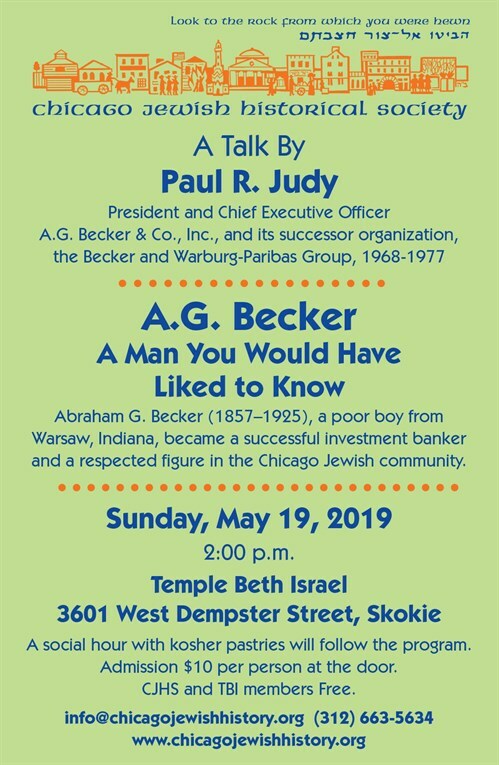 The Society publishes the quarterly journal Chicago Jewish History and historical monographs, holds open meetings at which various aspects of Chicago Jewish history are treated, and offers tours of Jewish historical sites. Membership in the Society is open to all interested persons and organizations and includes a subscription to Chicago Jewish History, discounts on Society tours and at the Spertus Museum store, and the opportunity to learn and inform others about Chicago Jewish history and its preservation. Filmmaker Beverly Siegel introduces her new video documentary, "Driving West Rogers Park: Chicago's Once and Future Jewish Neighborhood" at the CJHS 40th Anniversary Celebration, Sunday, December 3, 2017, at Congregation Adas Yeshurun, Chicago.